Spiders have a well-established but largely undeserved reputation as being dangerous to the health of people and their pets. In truth, spiders are extremely beneficial because they prey on many insects that we consider to be true pests in our homes and gardens. Not all spiders build elaborate webs to catch their prey. Some species ambush their prey from tubular tunnels built in the ground, under rocks or other areas. Other species simply build a loose collection of webbing in which they live. 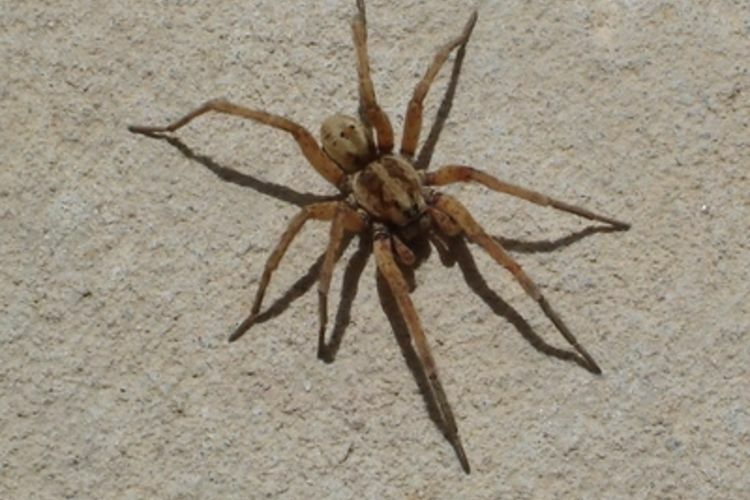 These types of spiders, such as the wolf spider shown here, are the ones that most frequently invade homes. They may remain hidden for most of the day, then hunt for prey at night. Spiders are not insects. They are close relatives of ticks, mites and scorpions, which all belong in the group called arachnids. Unlike insects, which have three main body sections and six legs, spiders have two body sections and eight legs. The eyes, mouthparts and legs are found on the front section of the body, known as the cephalothorax. The second section, the abdomen, bears the parts of the respiratory system (spiracles and/or book lungs depending on the type of spider), the digestive and reproductive systems, and the external organs used for spinning silk or webbing. Most spiders are identified by size, color, markings on the body and the number (usually six or eight) and arrangement of eyes. Female spiders wrap their eggs in a silken spun sac. Some spiders carry this egg sac, while others deposit it somewhere within their nest. Hatchling spiders (spiderlings) often produce a silk thread that allows them to disperse by "ballooning", i.e., being blown by wind currents to other areas. Encounters between people and spiders are usually accidental and bites are a response by the spider when its web or nest is disturbed. Most spiders produce venom therefore, they could be considered "poisonous". 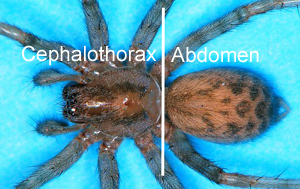 The venom is stored in glands that empty into the spider's fangs or chelicerae. For the most part, spider bites are insignificant. However, just as bee and wasp stings may trigger allergic reactions in some people, the same can be true for spider bites. Young children, the elderly and hypersensitive individuals are more likely to react more strongly to a spider bite. In North Carolina, there are few spiders that can inflect serious and painful injury. 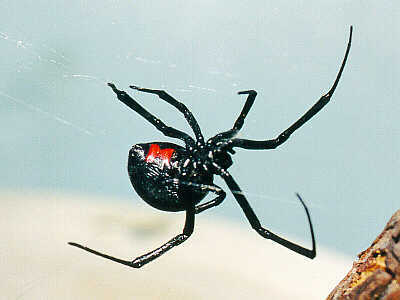 The two best-known poisonous spiders found here are the black widow spider and the brown recluse. Always wear work gloves when handling boxes, firewood, lumber and other items that have been left in storage undisturbed for significant periods of time. If you think you have been bitten by either a black widow spider or brown recluse, carefully apply ice or a cold-pack to the bite and seek medical assistance. If you can catch the suspect spider, bring it along for positive identification.